Grand Island bus tours and transportation is provided by Altran Alger County Transit. This 2 ½ to 3 hour tour allows visitors to enjoy Grand Island’s scenic vistas and historic sites from the convenience and comfort of a bus. The tour guide narrates the excursion, sharing the rich history of the island. With ten different points of interest visitors are sure to have a delightful and educational experience. Keen eyed tourists have been known to see black bear, white-tailed deer or sandhill cranes! As you prepare to embark on your visit, there are a couple things visitors should note. Not all stop locations are fully accessible by bus. Some locations may require that you take a short walk to get the full experience. Wilderness sites are not hardened and terrain may be un-even, we hope that visitors will enjoy experiencing Grand Island’s uniqueness. Please arrive for your bus tour 30 minutes ahead of time. Express service to north end of Island by special arrangement for hikers. Advance pre-paid reservations are required. Cost is $40.00/person. Please call Altran for details. Group Service (6 or more passengers) is available at 3:30 pm with advance reservations. Please call Altran for details. The extensive trail network on Grand Island offers over 40 miles of rugged trails and gravel roads. 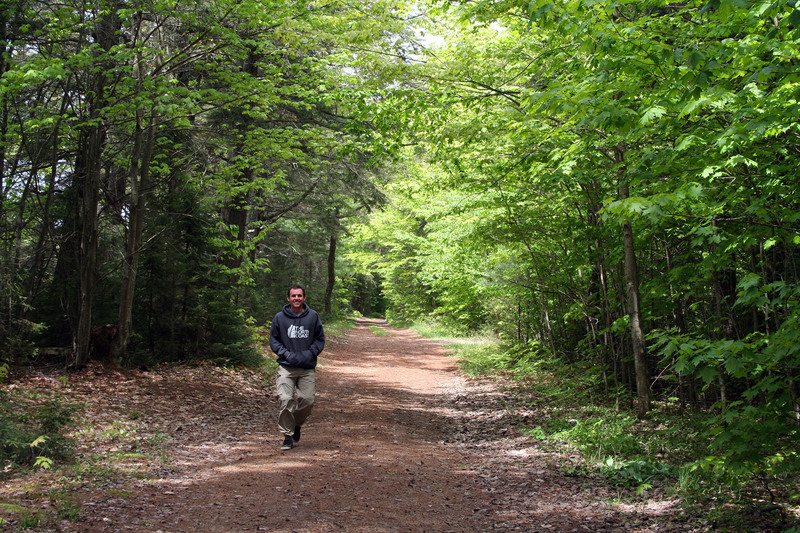 Hiking along the perimeter trails will offer spectacular views and white sand beaches. Hiking is a great option for day trippers and backpackers alike. For those staying overnight, there are many camping areas available throughout the island, as well as cabin rentals. 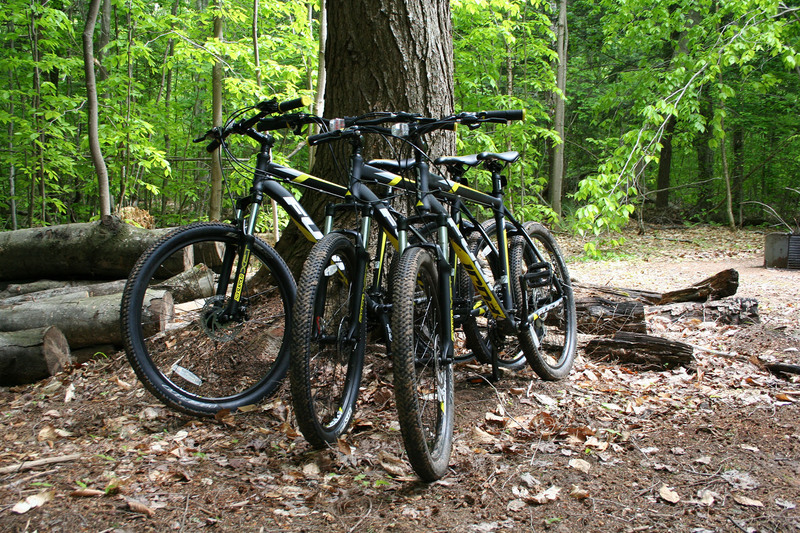 Most of the trails are shared by hikers and bikers, but there are a couple of trails designated for hiking only. These trails are located on the interior of the Northeast side of the island and through the Thumb's travel ways. Please Note: The bridge across North Light Creek at the far north end of the island is washing out and is not safe to cross. There are some private residences on the island, please be sure to respect private property signs. Kayaking the shoreline along Grand Island is a beautiful experience. The island is less than a ½ mile from the mainland, making it a relatively easy passage. Enjoy the crystal clear waters of Lake Superior and view the sandstone cliffs of beautiful reddish and orange hues that rise vertically out of the shoreline nearly 300 ft. in some places. The island is more 25 miles around; discover lighthouses, hidden sandy beaches and more. 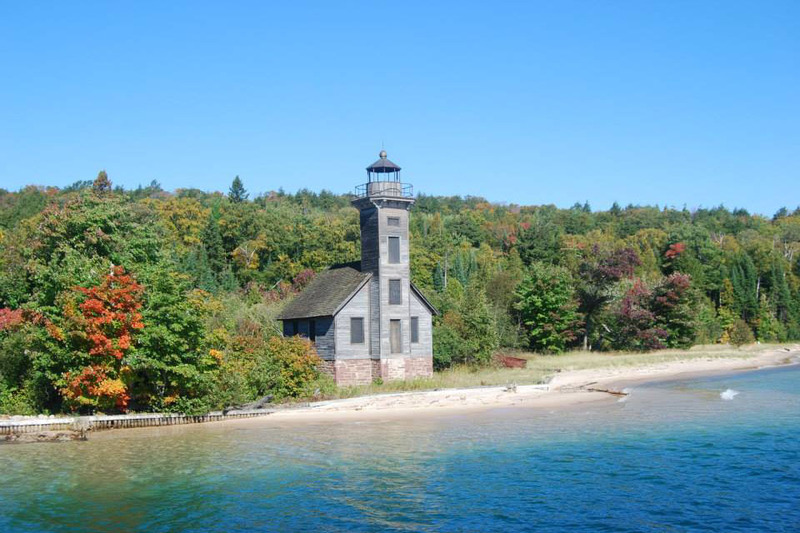 Please Note: Enjoy Lake Superior with caution, learn more about safety in the Grand Island National Recreation Area booklet provided by the Munising Ranger District. The booklet is avaialble at the Interagency Visitor Center and at the Ferry Dock. Grand Island offers many opportunities for outdoors people interested in hunting, fishing or trapping. Anglers can enjoy fishing in Echo Lake which typically offers bass, pike and pan fish. Murray Bay is known for perch, pike, walleye and rock bass. Trout Bay and around the island Lake Superior offers lake trout and coho salmon. Hunters may be interested in pursuing game such as deer, bear, rabbit, grouse and ducks. Trappers can find beaver, otter and mink. The Michigan Department of Natural Resources does require that you obtain a Michigan fishing, hunting and/or trapping license. Please call the DNR at 517-373-1220 for license information and special regulations for Echo and Duck Lakes.